The Merrow MG-2DNR-1 MICRO sews the only stitch of its kind in the world - the 1/32" (.8mm) Merrow MicroPurl for decorating the edges of sheer and gossamer fabric. 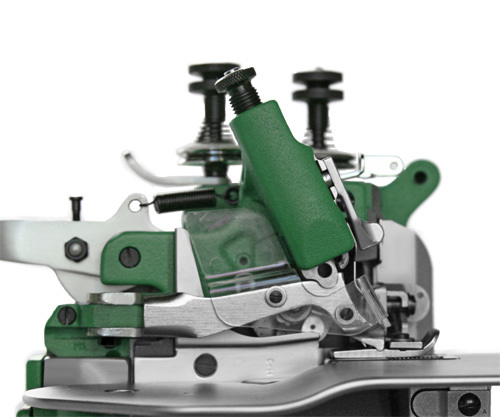 No other sewing machine can match the precision of the purl sewn by the MG-2DNR-1 MICRO. The MG-2DNR-1 MICRO applies a distinctive and unique decorative "MicroPurl" to product edges. 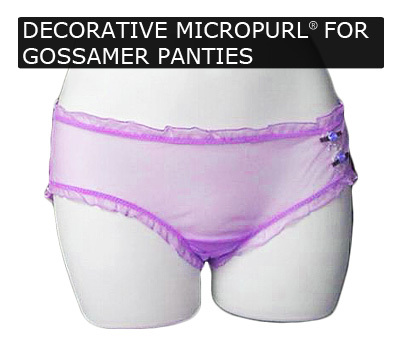 The MicroPurl rolls fabric within a 1/32" edge on sheer and gossamer fabric, creating a complimentary accent to fine lingerie and other garments. No other sewing machine can match the precision of the purl sewn by the MG-2DNR-1 MICRO - it it is without exception the smallest, tightest decorative edge available, and the perfect accent to delicate lingerie and other plush garments. 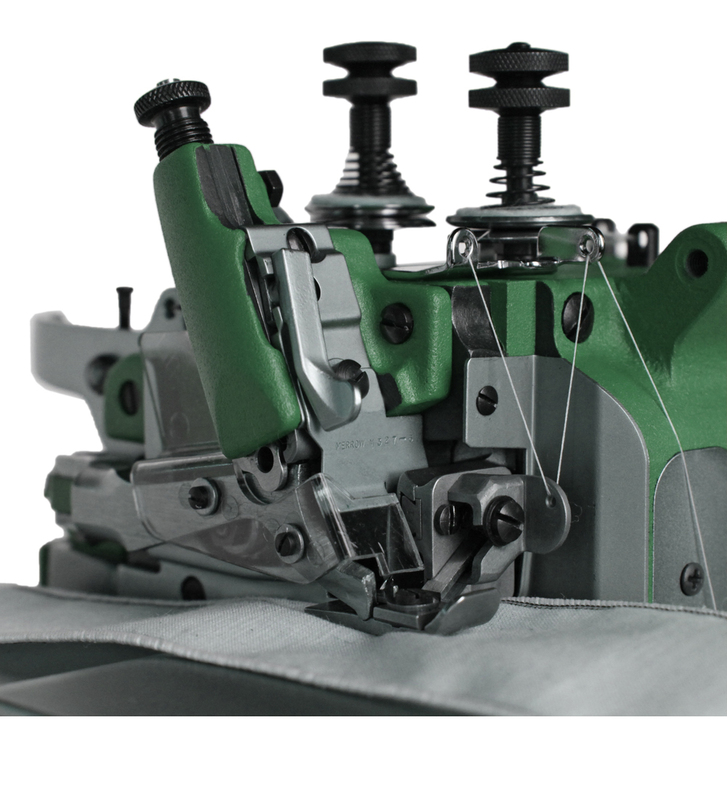 Using rubber feed dogs and a specially weighted presser foot, the MG-2DNR-1 MICRO resides squarely at the intersection of art and engineering; it pairs Merrow's cam-driven architecture with a special rolling apparatus to produce the most delicate stitch on the finest material. 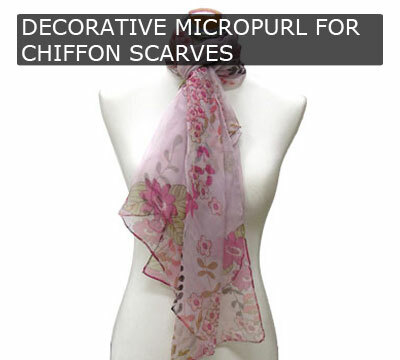 The MG-2DNR-1 MICRO is used by fashion designers and clothing manufacturers looking to put a unique accent on fine or delicate garments. We will build out a custom machine, at no charge, and sew your material off on the MG-2DNR-1 MICRO (or other machine if appropriate). If you would like a video of the process we will provide this along with the sewn sample.